Are you having problem in selecting the best color of your hair? 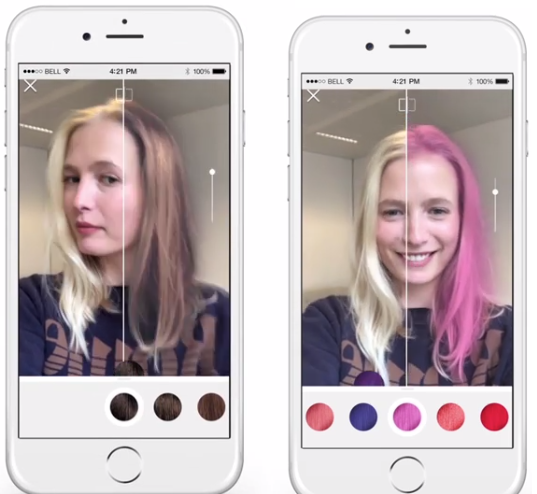 Now, technology will help you to chose the best color for your hair before deciding to color it. If you're thinking of major changes on your hair color,well, you need the helped of this App L'Oreal Professionnel to avoid disappointment. Using this clever Augmented Reality (AR) features, you can check the kind of shades that suits your face shape and the color that complements your skin tone. The app has a 3D Real Time mode which you can flip your face at any angle so that you can exactly decide your final style that would appear in real life. The App also gives you hair tutorials and product recommendations on how to achieve the look you wanted to be.